The main feature which distinguishes this course from The Lakes is the abundance of trees – hence the name – and its smaller size, as well as fewer water hazards. The greens are smaller, undulating and well defended. 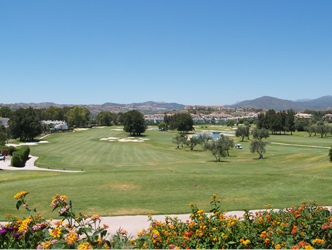 Los Olivos is strategic narrow tree lined fairways and elevated greens. Both Olivos and Lagos are good courses for all levels, very walkable parkland courses. För år 2013 har de två offerter. Spela 8 spelare och betala endast för 7 spelare. Spela andra rundan samma dag och betala endast 30 euros. Hotell i närheten: Hotel Las Palmeras, ligger på strandpromenaden i Fuengirola center. Populärt bland golfare för deras pris och läge.